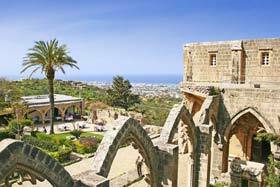 The ancient city-kingdom of Salamis lies 9km north of Famagusta and is the most important archaeological site on Cyprus. It is the Ancient Roman city. There is much to see and the excavations cover a considerable area. Most visitors will be content to spend an hour or two exploring the main excavations, the gymnasium, baths and the theatre. 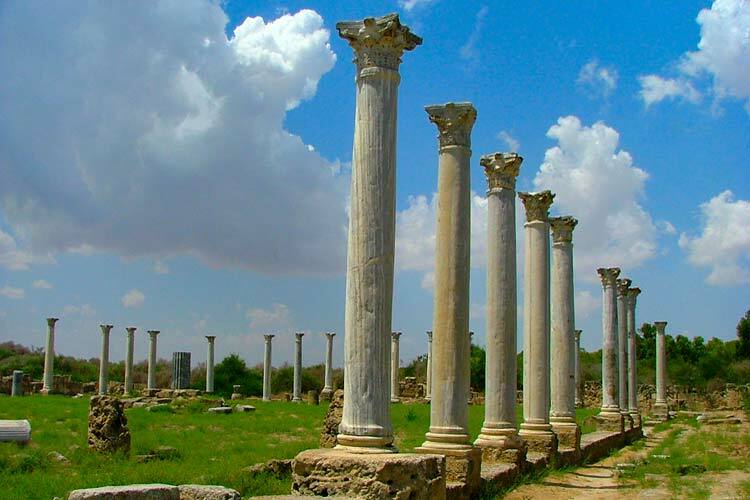 Enthusiasts will want to explore further and there are well laid tracks leading to the outlying ruins, the Roman villa, the Kampanopetra basilica, temple of Zeus, the Roman agora, the Byzantine cistern and the basilica of Agios Epiphanios. There are map boards and various points to keep heading in the right direction but a map in hand is more helpful. 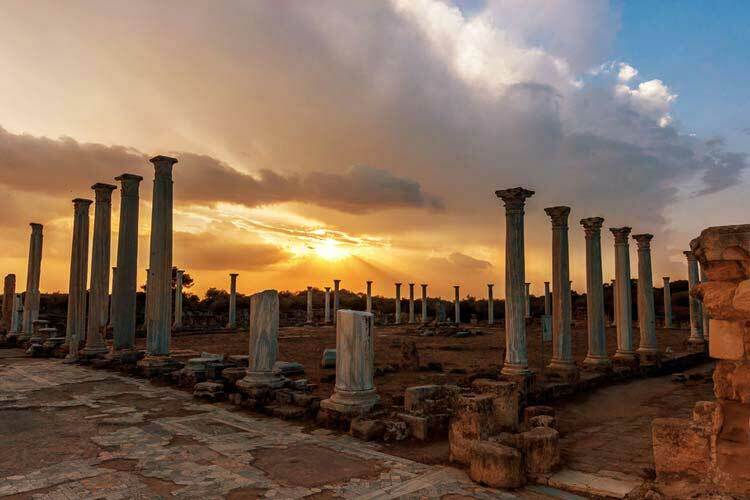 According to legend, Salamis was founded around the 11th century BC by the Homeric hero Teucer who, on his return from the Trojan wars, was exiled by his father, king of the Greek island of Salamis. 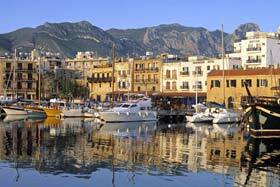 The city slowly prospered as an independent Greek city-state to become a major trading centre by the 8th century, so much so that it started to mint its own coinage around 560BC, a first for Cyprus. A troubled history followed as it fell the following century to the Persians and remained under their control until their eventual defeat by Alexander the Great. 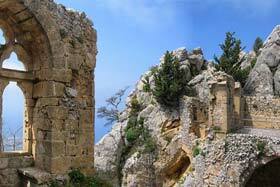 Periods of prosperity followed but a disastrous earthquake and tidal wave in 342 brought utter destruction. Although rebuilt under the Byzantines in never recovered its former status and was finally abandoned around 649 after being sacked by Arab raiders. The Salamis ruins, gymnasium and baths form part of the large complex encountered immediately on entering the site. These date from the 4th century AD. It is interesting to notice that the columns forming the stoas, especially at the eastern end, are a bit of a miss-match. This is the work of the Byzantines who recycled Hellenistic and Roman columns from other buildings without too much regard for authenticity. The other major feature is the very fine Roman amphitheatre built in the reign of Augustus and only discovered in 1959. With 50 rows of seats, it held a capacity audience of around 15,000 people which made it the largest ancient theatre in Cyprus. 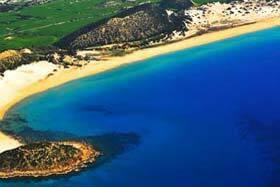 The 5 star hotel Salamis Bay Conti Resort Hotel is named after this site.